A son ascends to his father's throne in "Black Panther." He will rule the hidden nation of Waconda, beginning with a stirring African ceremony that echoes of "The Lion King." Across the globe, another son vows revenge for an act that will pit brother against brother, son against son, and cousin against cousin. "Black Panther" rises above the usual comic book plot with elements worthy of Shakespeare. This great script receives the acting it deserves. 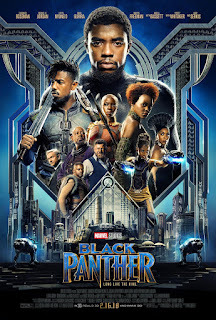 Chadwick Boseman projects power and charisma as King T'Challa, while Michael B. Jordan makes a memorable villain as Erik Killmonger. They fight for the future of Wakanda and its precious resource vibranium, which has the power to change the world. At issue: Should it be shared or kept from the larger world and forces of evil? Boseman begins his reign on a quest to find and defeat arms merchant Ulysses Klaue (Andy Serkis) who has stolen some of the precious metal. Operative Lupita Nyong'o joins the fight, along with elite warrior Ayo (Florence Kasumba.) The King's sister, played by Letitia Wright, serves as a tech genius, designing his black panther suit with the power to double the blows it takes. The search for the arms merchant sets the stage for the real (and deeper) fight. "Black Panther" has the added gravitas of an older generation: Angela Bassett as Wakanda's one-time queen, and Forest Whitaker as a trusted advisor. Photography and sound & set design come together for Director Ryan Coogler. He's already impressed with earlier films including "Fruitvale Station" - far above the usual independent film - and "Creed," which went well beyond the idea of another "Rocky" story. "Black Panther" has a thrilling origin story, in which Shakespeare meets "Star Wars." Coogler dips into African culture in an eye opening way. "Black Panther" comes down to the usual finale, a good versus evil fight to the finish where the hero almost loses, but ultimately prevails. The ending feels familiar, but the journey to get there is brilliant. 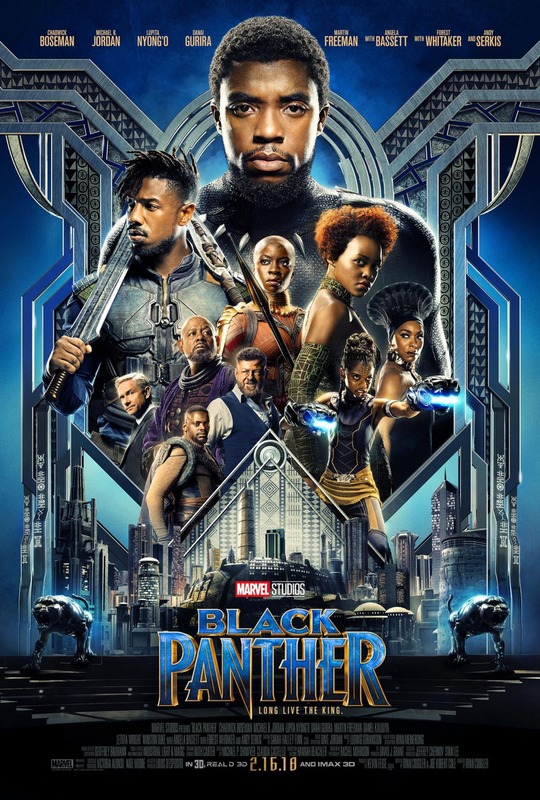 "Black Panther," 3½ stars, rated PG-13. Does it deliver what it promises? Superhero origin, told with style. Is it entertaining? A grand plot, and deeply cultural. Is it worth the price of admission? One of the year's must-sees.